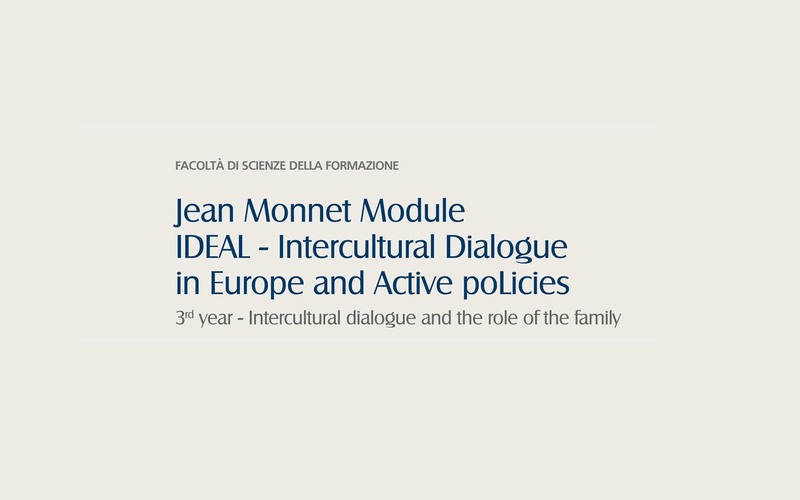 The Jean Monnet Module IDEAL– Intercultural Dialogue in Europe and Active poLicies – will be implemented in the framework of a project co-finaced by the European Union within the Jean Monnet Program. The IDEAL Jean Monnet Module aims at arousing fresh reflections among the whole academic and scientific community, by linking European citizenship and the inclusive actions for cultural minorities. The deep comprehension of migration flows, the legal frame for refugees in Europe, and the sustainable methods for improving tolerance and contrasting xenophobia, will stimulate students to become active members of social promotion for Intercultural and Inter-religious dialogue. The module is promoted by the Faculty of Education and under the scientific coordination of Prof. Maddalena Colombo.